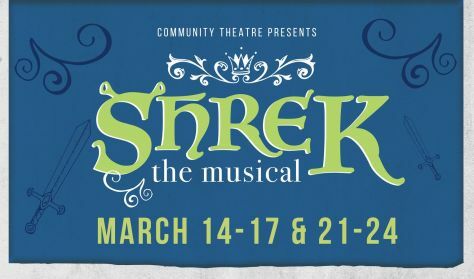 Set in a mythical “once upon a time” sort of land, Shrek the Musical is the story of a hulking green ogre who, after being mocked and feared his entire life by anything that crosses his path, retreats to an ugly green swamp to exist in happy isolation. Suddenly, a gang of homeless fairy-tale characters (Pinocchio, Cinderella, the Three Pigs, you name it) raid his sanctuary, saying they’ve been evicted by the vertically-challenged Lord Farquaad. So Shrek strikes a deal: I’ll get your homes back, if you give me my home back! But when Shrek and Farquaad meet, the Lord strikes a deal of his own: He’ll give the fairy-tale characters their homes back, if Shrek rescues Princess Fiona. 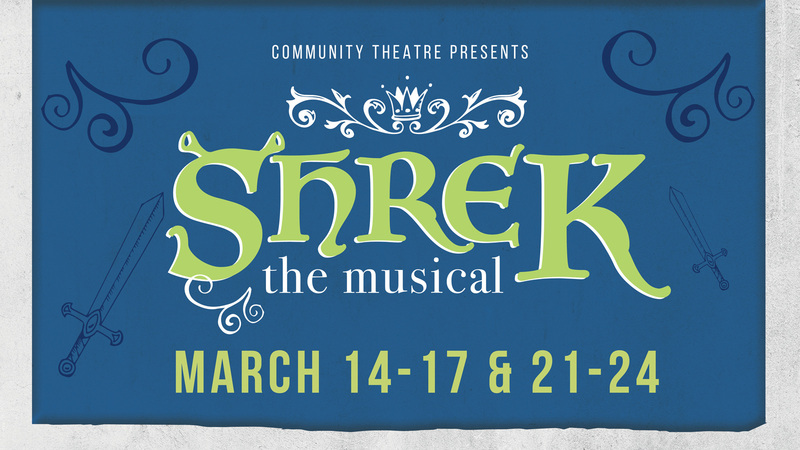 Shrek obliges, yet finds something appealing– something strange and different–about this pretty princess. He likes her. A lot. But why does she always run off when the sun sets? Come see how our story unfolds.